Eric came out and did an amazing job at treating my property and explaining to me what he was doing. I also had several questions for him which he explained in great detail. Thank you for a great job! Darwin is very nice and accommodating. Yani did our quarterly service and she is on the dot as scheduled. Very professional and knowledgeable in what she was doing. She did the insides of the house as well as the outside- patio and small lawn. This is the 4th visit. I am satisfied with their service so far. And will recommend. 👍🏻. Quite simply the ants have gone away. thanks,,,. Great people, very reliable, and the service has worked wonders in our house. Very pleased! Perfect service!! I did a review but forgot to give five stars!! So here they are! 😃👊. Buen trabajo y muy profecional el señor que fumigo las ultimas dos vecez. Great job. Eradicated our insect problem. Responsive service and good communication. Good recommendations on the inspection/service form. All around very pleased with Insight. Good service and no pests. Did a great job of spraying the outside of my house. Now need to spray the inside of my house. Please call me at (305)552-8714 to set up an appointment. Very satisfied with your service. All the employees in your company are very courteous. If I need for them to come back they come back to fumigate a second time around with no additional charge! 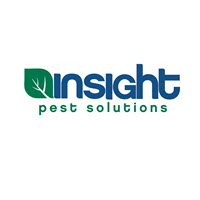 I have found Insight Pest Solutions very dependable, they have great customer service, the technicians have been pleasant, thorough and knowledgeable. plus the price is right. I would recommend them. I’m very pleased with your service! Keep up the good work. They do a very good job and I do see the difference 😁. Very happy with the service.technition was very informative and diligent with the work done.the price is competitive, no smelly odors and the results were noticed quickly (within one week). It's been approximately one month and no bugs have returned. Thanks. Very satisfied with their service! Nice to work with a professional company. Thanks. Mr Luis Peña is an outstanding employee. Please, schedule him for every visit to fumigate my house in the future.